Emerson Process Management has released the Micro Motion Fork Viscosity Meter, the next generation of the Micro Motion 7827 and 7829 direct insertion viscosity and density meters. Incorporating the same rugged and reliable tuning fork design as its predecessors, the Fork Viscosity Meter is built to tackle demanding process applications such as oil fired heater combustion control, HFO blending/production and pump protection. 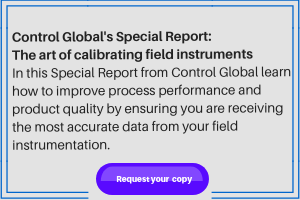 The Fork Viscosity Meter incorporates a hazardous area approved head-mounted transmitter that has the flexibility to connect to control systems via a wide range of digital and analog protocols. Because it supports FOUNDATION fieldbus, 4-20mA, HART, WirelessHART, and RS485 Modbus, system integration and start up/commissioning costs are significantly reduced. For more information, please visit Emerson's website.